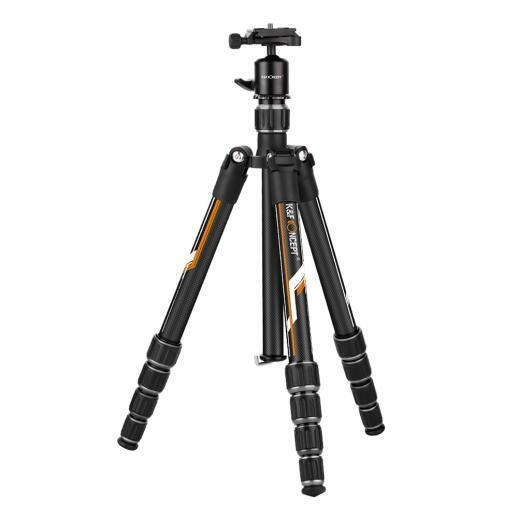 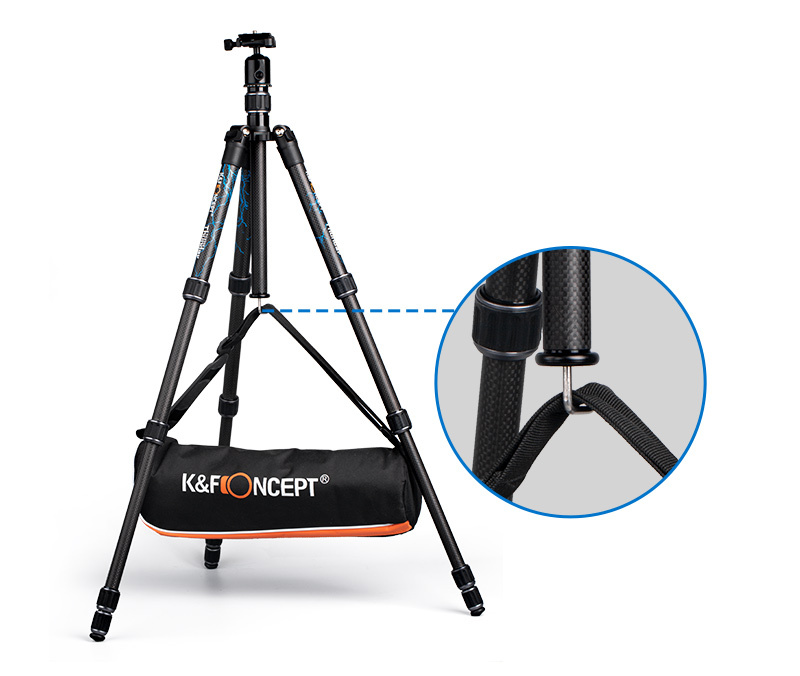 Buy K&F Concept tc2335 (orange) carbon tripod lightweight portable for travel photography online, worldwide free shipping and 30 days return guarantee. 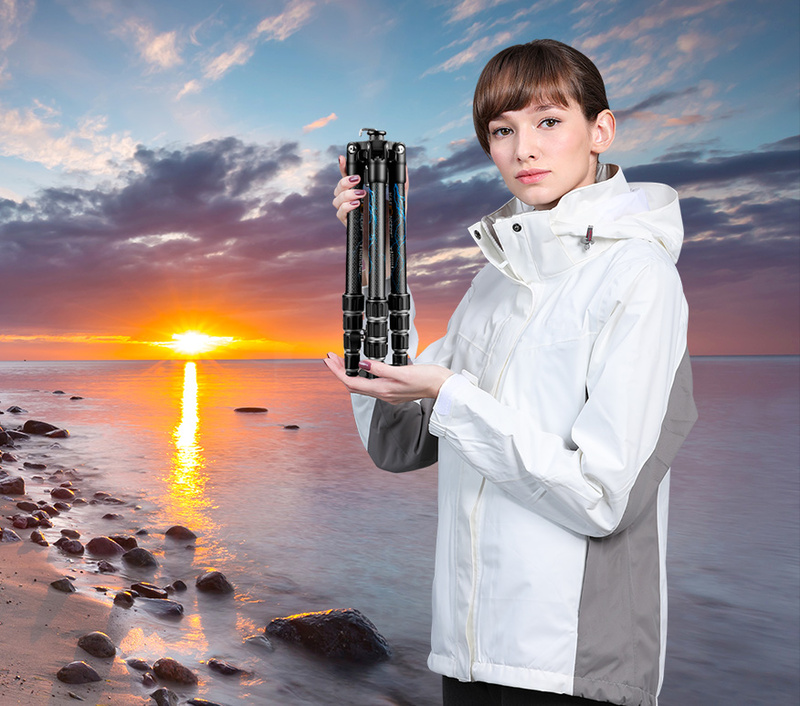 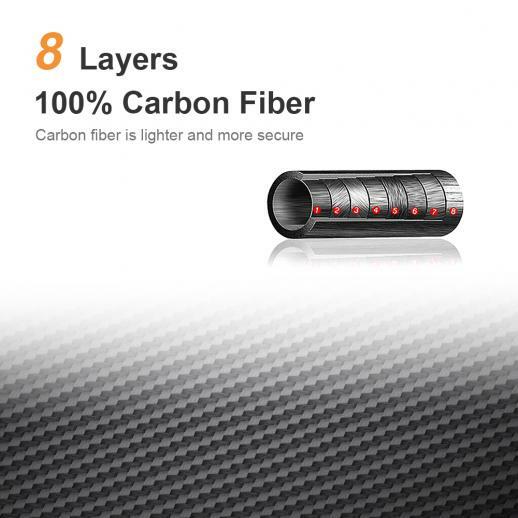 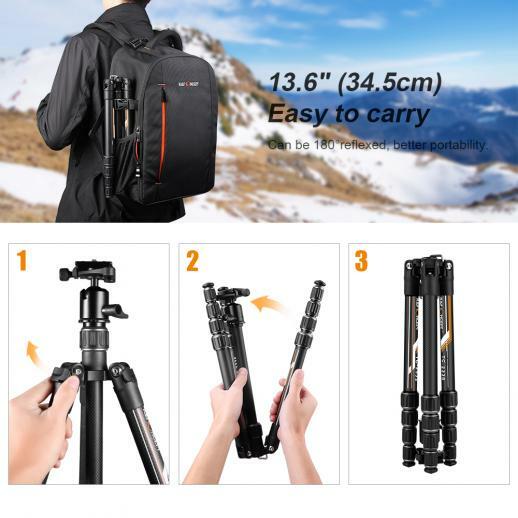 • Tripod tube made of quality carbon fiber, can anti-folded 180 degrees reversely and install inverted,the folded height is only 13.6''（345mm) the camera tripod net weight 1.85lbs, smaller enough to help you a convenient travel. 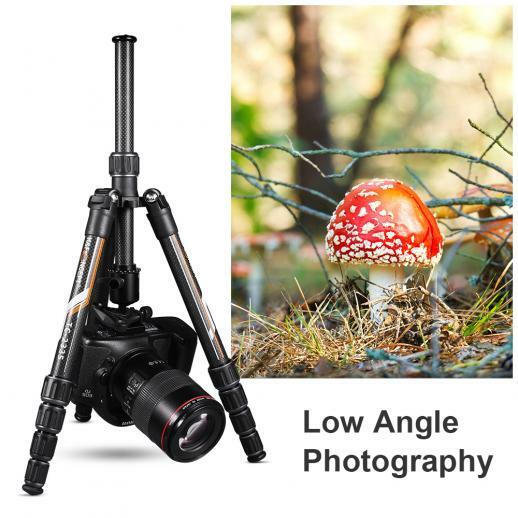 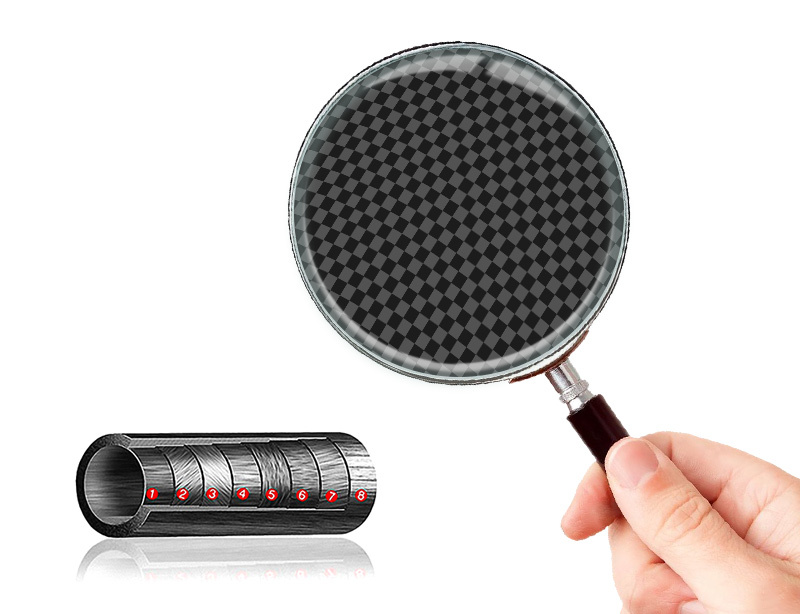 • Center column inverted installation to realize the lowest angling shooting, macro shooting, or other special photography. 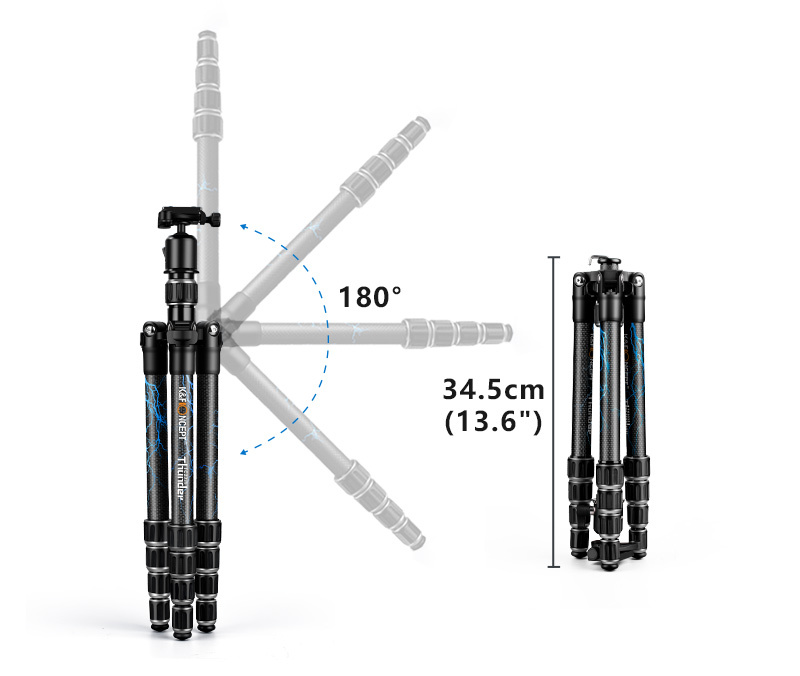 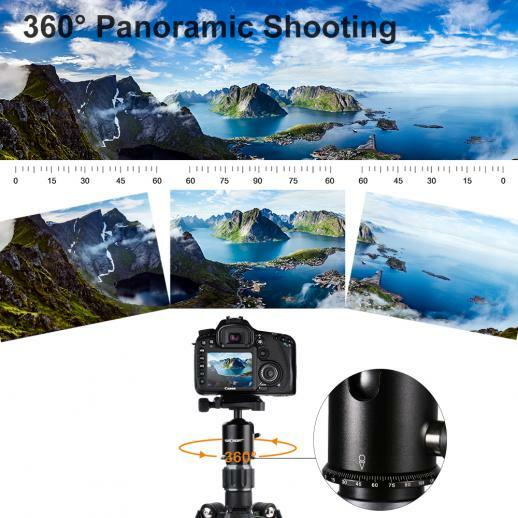 • 360 degree ball head with bubble level provide you with a panoramic view.Three position leg angle adjustment system provides flexible shooting. 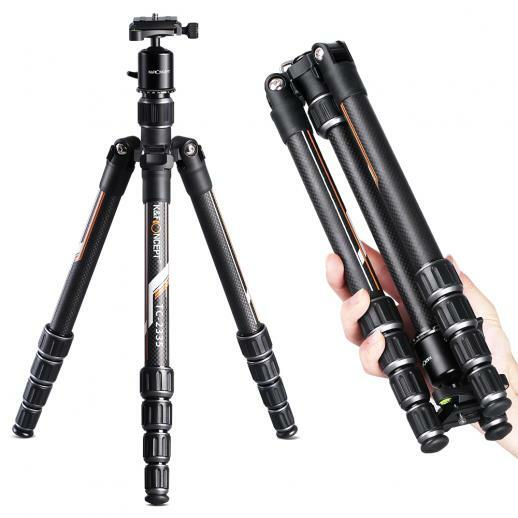 • Center column design with hook attached to sand bag increasing stability, with non-slip feet design to keep the tripod steady.Max load weight is 26.5lbs/12kg for optimal performance. 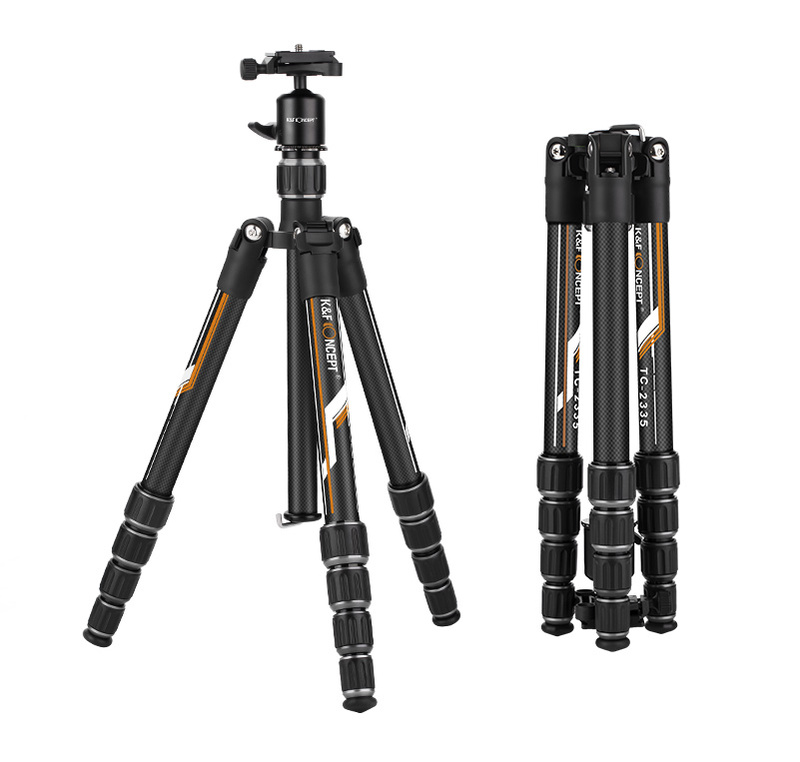 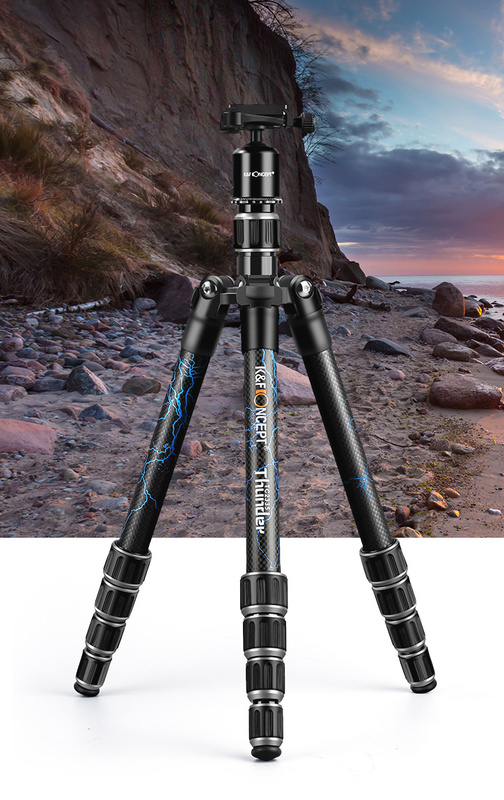 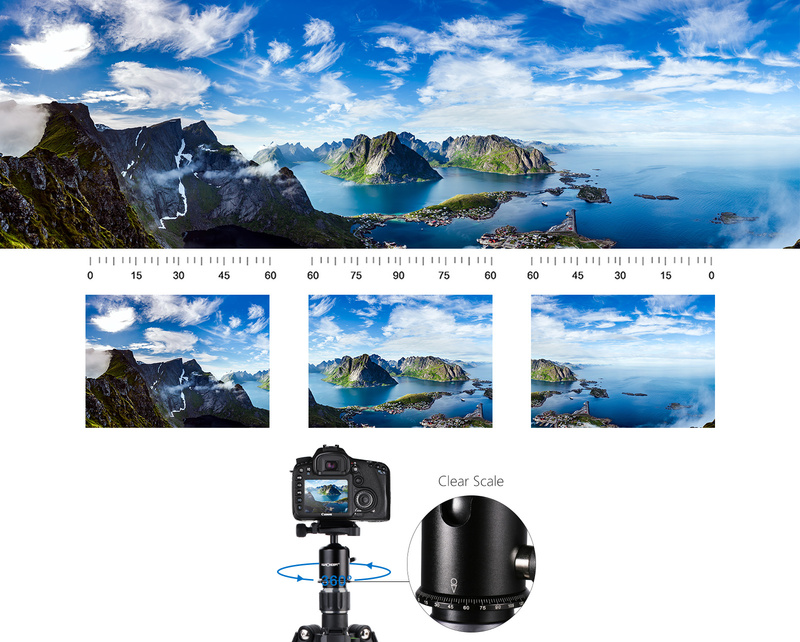 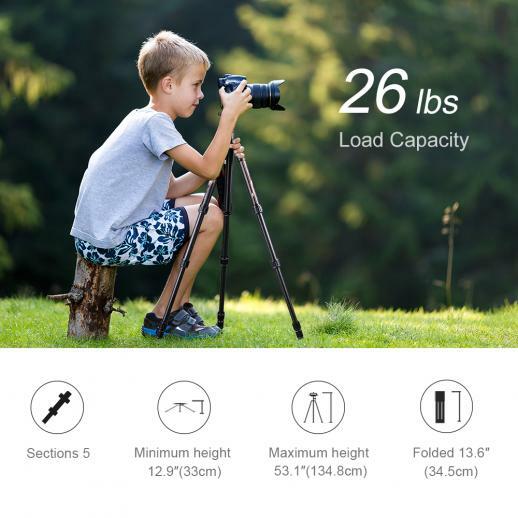 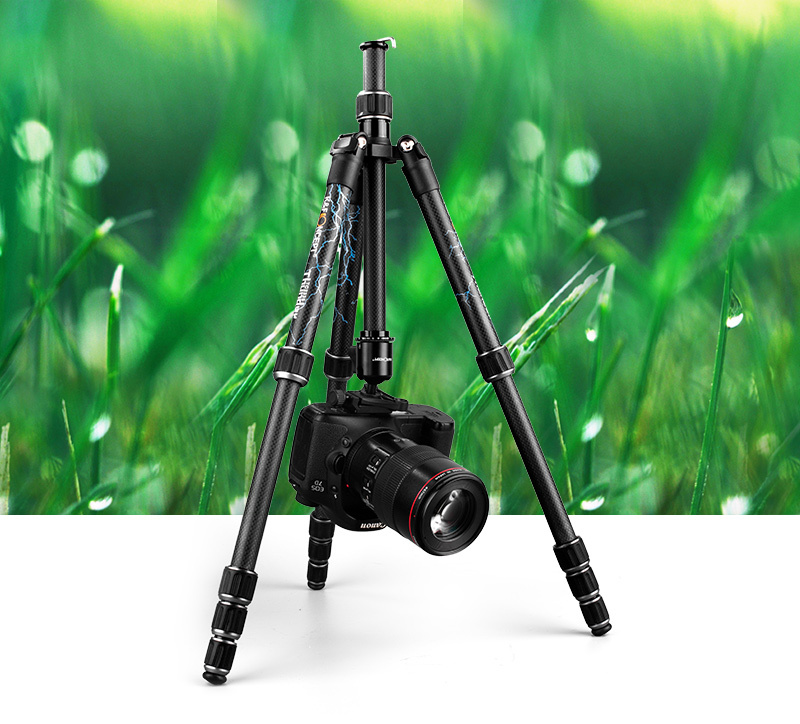 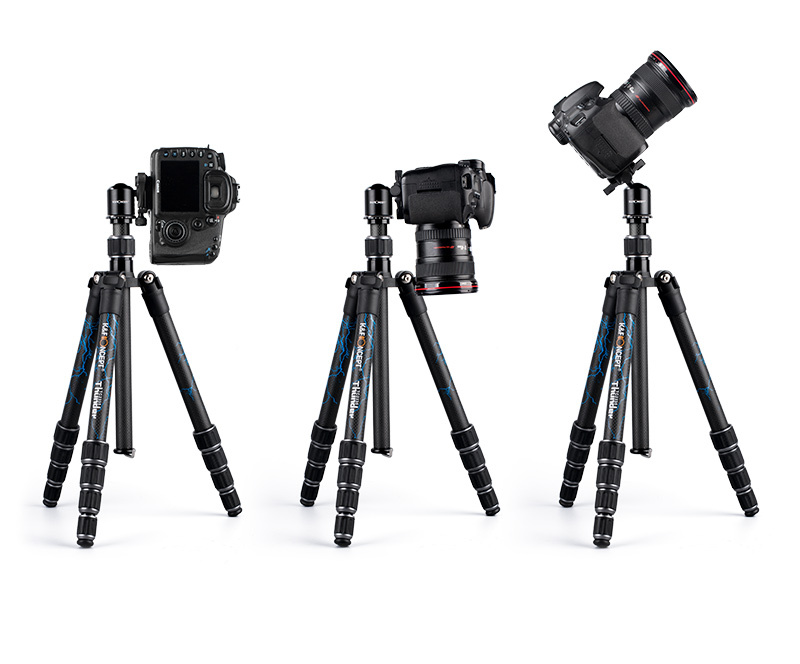 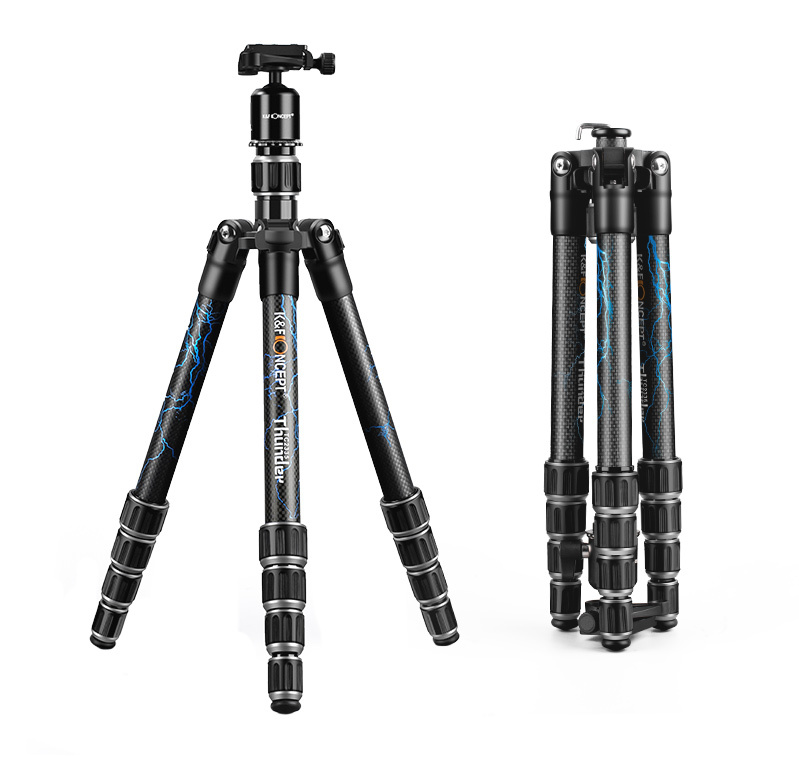 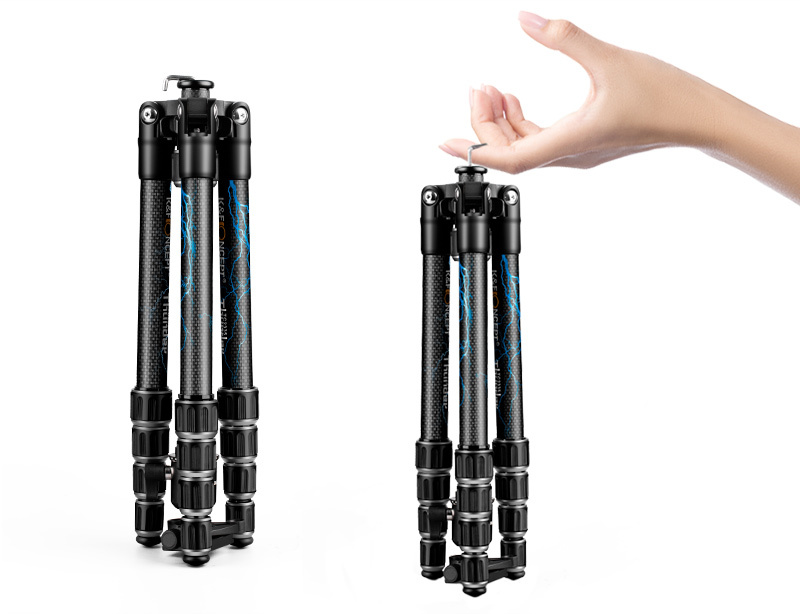 • Tripod Specifications: 23 mm, 5 section carbon fiber legs. 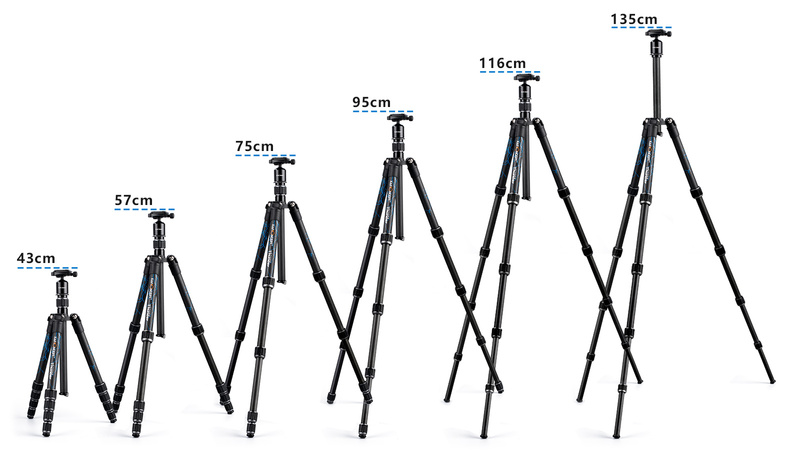 Folded height: 13.6". 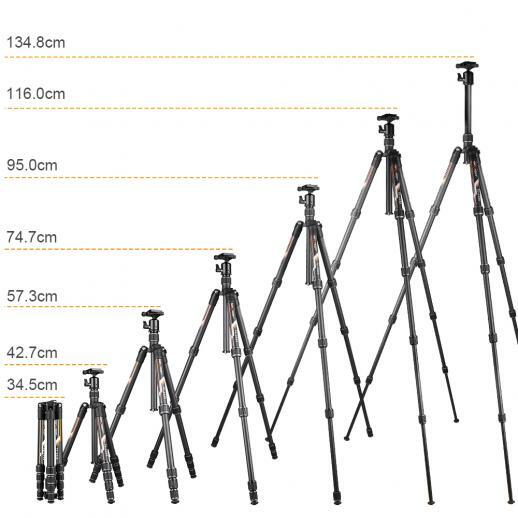 Extended height: 53.1". 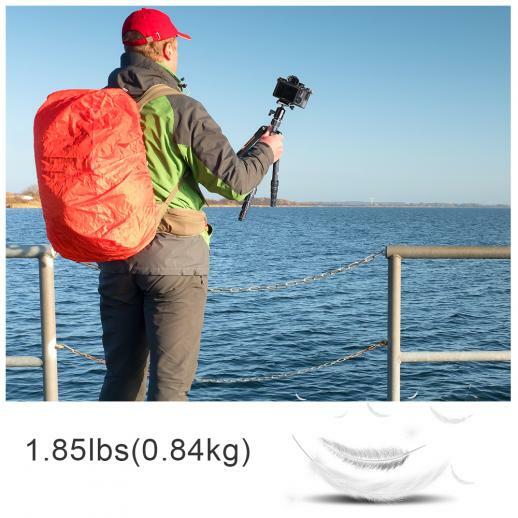 Net Weight: 1.85 pounds. 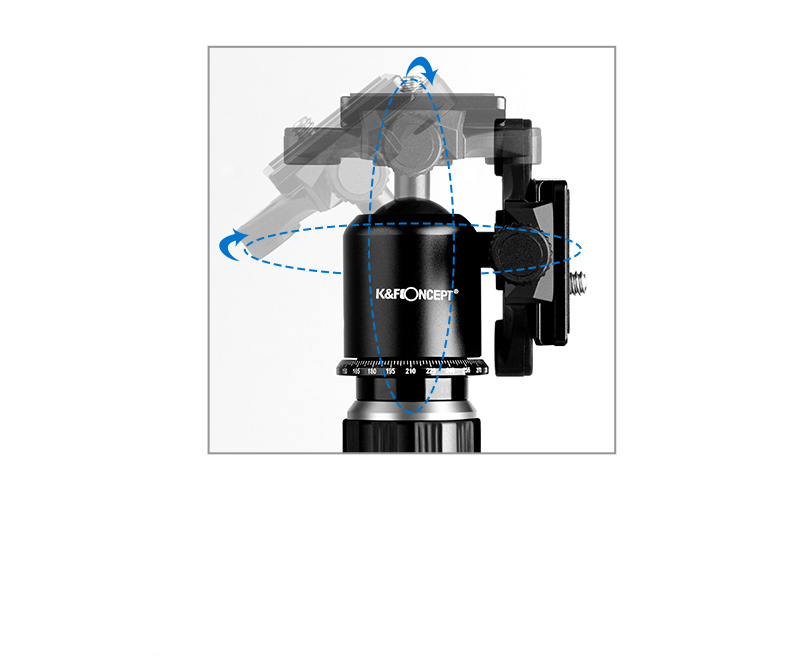 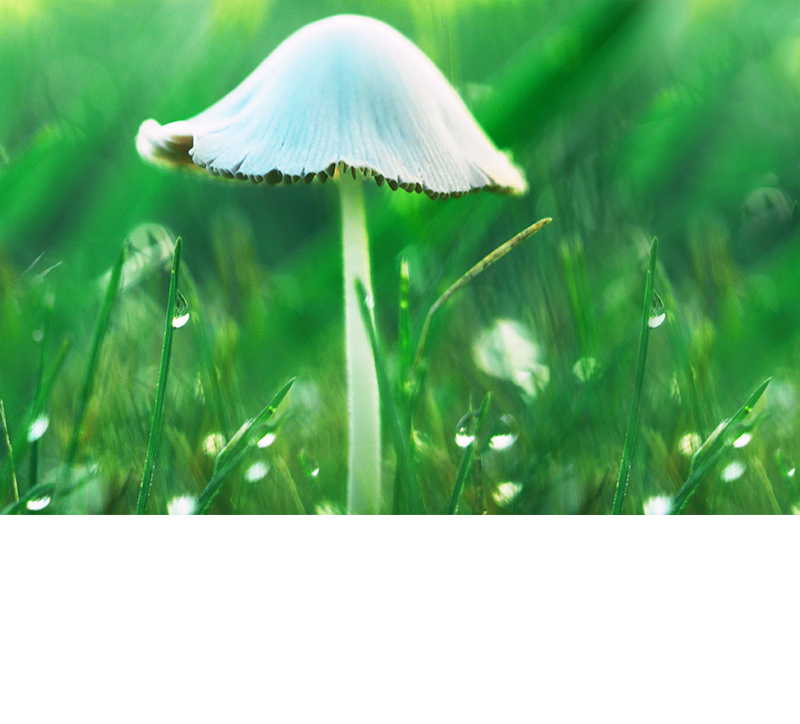 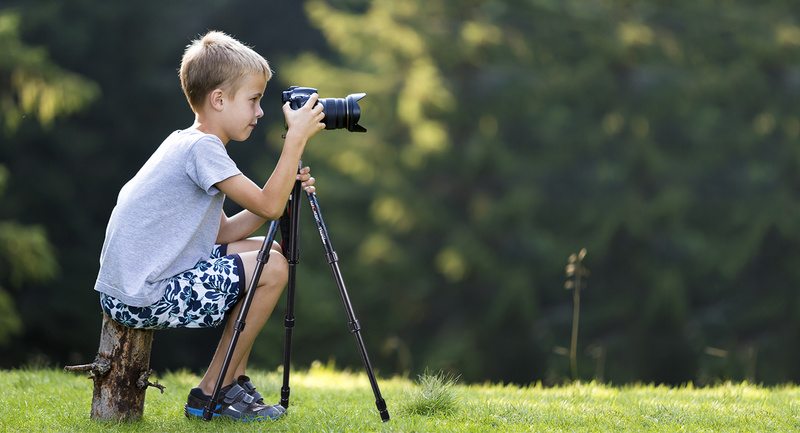 photography can be achieved through inverted central axis.